Setting aside a record in Michigan can be a frustrating process, but it doesn't have to be. We can clear your record for you with our record set aside service. Are you confused about what record clearing options are available to your unique case? 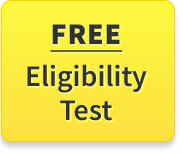 Take our free online eligibility test to quickly and easily find out! Does my disposition of guilty or no contest matter? Those dispositions are counted as “convictions” just as if you had gone to trial and were found guilty. For a deferred and dismissed offense set aside, whether originally a misdemeanor or felony, they are considered misdemeanor convictions for the purposes of conviction set aside. MCL §780.621(2). A person convicted of not more than one felony offense and not more than two misdemeanor offenses may have their felony conviction set aside. A person convicted of not more than two misdemeanor offenses may set aside one or both of their misdemeanors. A deferred and dismissed offense, whether it was originally a misdemeanor or felony is considered a misdemeanor offense conviction for the purposes of Michigan conviction set aside. MCL §780.621(1). Can my conviction be set aside if I have another conviction on my record that is for a misdemeanor traffic offense? Yes. However, you still must not have more than one felony offense conviction and not more than two misdemeanor offense convictions, which includes the misdemeanor traffic offense(s). MCL §780.621(1). Civil traffic infractions (like a speeding ticket) are not typically considered a misdemeanor offense conviction for the purposes of set aside. If I was convicted of a felony, can I have the felony reduced to a misdemeanor? There does not appear to be any way to reduce a felony down to a misdemeanor or lower level offense in Michigan at this time. The time to do so would have been through plea negotiations with the prosecutor before the conviction. What if I am unsure about what is on my record? For a small research fee, we can discover what is on your record and what services you are eligible for in Michigan. The fee would then be applied to any service you hire us to perform for you. What is the main reason for expungements to be denied? Can I clear a federal conviction? We do not handle federal cases, but only a limited type of federal cases are eligible to be expunged. We will appear in court for you, but if the court also requests your presence and you are unable to attend, then we will request that your presence be excused ahead of time. You will have to be fingerprinted at your local police station. Once you become a client we will send you an email with instructions on how to get fingerprinted any other necessary actions on your part. Typically, the set aside process in Michigan takes four to six months depending on your particular situation, the court’s workload, and if there are any objections filed from the state. Can the process be done faster? The court processes cases in the order they are received. We work to get everything filed before the court as quickly as possible. We can write a letter to your employer or potential employer letting them know we are in the process of having your case set aside if that would be helpful for you. If your case is denied, we evaluate the reason and then determine the best way to move forward. We offer a money-back guarantee for many of our services if we do not believe the refiling the case is in your best interest. What happens after my conviction is set aside? What are the details of the money-back guarantee? If we are unable to succeed on your case, we have a money-back guarantee for certain services. Please view the pricing for details regarding the money-back guarantee for this service. Can my case still be used against me? Do I ever have to disclose my case? Will getting a set aside relieve me of the requirement to register? Will my record prohibit me from visiting Canada? The Canadian government and the United States have entered into an information sharing agreement, and the Canadian government will have the same information the United States has on file. The benefit of setting aside your case is that it will show the Canadian government that the matter was resolved and is no longer considered a conviction. Can I vote after the set aside? You never lose the right to vote in Michigan unless you are confined in jail or prison. You can vote even if you are on probation or parole. Will getting a set aside help with immigration? You should discuss with an immigration attorney if setting aside your conviction could help your immigration status. You can reach our immigration department at 714-617-8395. Will getting a set aside restore my right to possess a firearm? Yes. Once your conviction has been set aside, you are generally eligible to possess a gun again, unless the court order specifically prohibits your right to possess firearms. However, under the federal law (Lautenberg Amendment to the Violence Against Women Act), there is a lifetime ban on firearm ownership for those convicted of misdemeanor domestic violence. A Michigan set aside will not lift the federal ban. Can I become a schoolteacher, nurse, or other occupation? You can truthfully say you were not convicted to any question for employment, unless you are applying for employment with a law-enforcement agency. In most circumstances, Michigan Comp. Laws section 338.43 prevents licensing agencies from considering cases that did not result in a conviction or convictions that have been set aside. Once your conviction has been set aside, your case can only be used in narrow circumstances. What if I want to work in a bank? If you have a “breach of trust” or "dishonesty" conviction Section 19 of the Federal Deposit Insurance Act allows banks to prohibit your employment. This remains true even if your case is expunged or set aside. Your best option if you are having difficulties securing a position with a financial institution because of a conviction is to apply for a waiver from the FDIC. Contact an attorney to discuss whether you qualify for a waiver. How do the agencies know the set aside was granted? Will setting aside my conviction clear my DMV record? No, a set aside does not clear your DMV record. Didn't find the answer you were looking for? Ask your question in the comments below so we can answer it for you! Hi, I had written to you about a year ago asking a question that I guess I already know the answer to, but what I was hoping to do is to find out was what it is that I should do. I can't find the email that you sent to me before that did explain it so here's my situation again. I have a felony OUIL (#3 in ten years). This was before the new law where 3 in a lifetime is now a felony. I had 2 OUILs in 1991 and then a 3rd in 2001, unfortunately just under the ten year mark, so it was bound over to circuit court and here I am 14 years later unable to find a job with this on my record. I understand that the only option I have is to write to the governor asking for what? a pardon? Beg for a favor? As you can see, this is where I need help with the legal lingo. What is it exactly that I need to do and ask for. Where do I start would be the best question I suppose. I appreciate any help, advice or suggestions you may have for me. If you are ineligible for a set aside in Michigan, the other option you have is to seek a pardon from the governor. You can find more information online regarding the process for seeking a pardon. Unfortunately, we do not offer pardons in Michigan at this time. You can click on the links that follow to view: the instructions and the application form. Let us know if you have any other questions that we can answer for you. If there was no trial or conviction do I need to expunge the fact I was photographed, fingerprinted and jailed for 7 days? That is entirely up to you and whether the records of the arrest will harm you in any way. Just because you did not go to trial and you were not convicted does not mean that those records can not be found or seen by the public. If you are eligible to expunge your records it will give you peace of mind knowing that the records are not visible and you will not have to answer questions about the case at all or explain why the arrest occurred in the first place. My first felony was in 1980 so is that still on my record? Felony convictions or any criminal case for that matter are never automatically removed from your criminal record regardless of how much time has passed. Please contact us or take the test to determine if you are eligible for any of our services. if there were a drug felony conviction concerning two different drugs at the same time, is that one or two convictions? The answer may determine if we are able to set-aside your conviction in Michigan. There is no need for us to guess about the unpredictable actions of a court or judge when the answer can easily be obtained by calling the court. We would be glad to do that for you for a small fee, which would be applied to any service that you are eligibe for, or you can call the court yourself and ask. Thank you. On the form there is an abbreviation called ctn/tcn and also SID...can anyone tell me what that means? On a Michigan expungement form, CTN stands for "Criminal Tracking Number" which is a number assigned to a specific case from the prosecuting attorney. 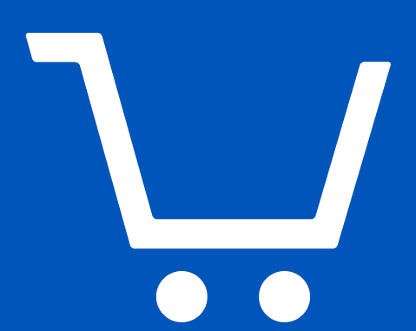 SID stands for "State Identification Number" and is a number provided by the state police. If you have an ICHAT report from the Michigan State Police, both of these numbers will be listed on there. The SID number will be located with your identifying information and the CTN is provided in each case. Additionally, you should be able to locate these numbers in the court documents if you have those. If you need additional assistance completing the expungement process, do not hesitate to contact our office. Please use this section to ask questions about the law, our law firm or our services. If you have questions about your particular situation or wish to hire us to perform a service, please take the online eligibility test, read our website's extensive frequently asked question section or call us at (877) 573-7273. Questions about your right to possess a firearm in a state other than the state where the conviction occurred generally require research for which we charge $250.